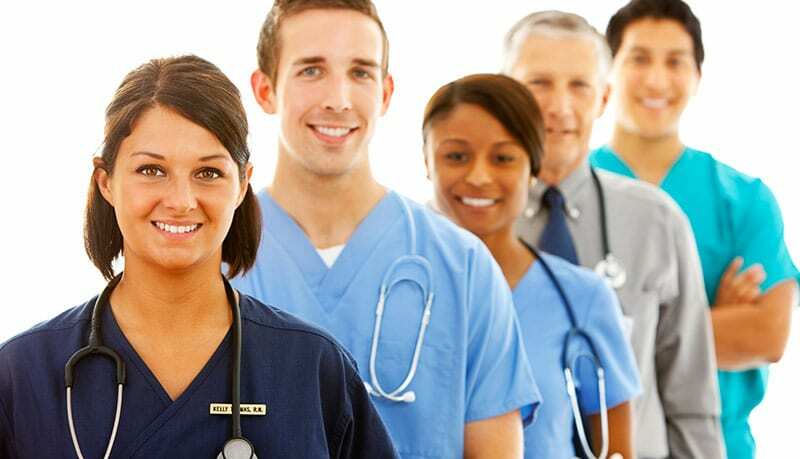 If you were to ask a seasoned Medical Assistant for career advice, they would likely tell you to search for the best Medical Assistant schools and choose one that is affordable, convenient, and thorough. When you look for the best Medical Assistant schools, you’ll typically come across ones that go above and beyond in providing students with the technical “hard” skills that are necessary to succeed in a Medical Assisting career. These schools are also the ones that equip students with “soft” skills by instilling the importance of professionalism, relationship skills, organization, and more. In less than a year, you can complete the Medical Assistant program at Unitek College. Not only will you have gained an academic background in Medical Assisting, but you will graduate with clinical experiences under your belt. This combination will make you a strong candidate for Medical Assisting positions in hospitals, clinics, physician’s offices, assisted living homes, and more! So, what can you expect in the classroom? A typical class starts with a lecture, followed by a skills lab where students directly apply what they have learned. During the program, students will learn how to draw blood as well as how to monitor blood pressure. Unitek’s MA program may be ideal for the kinesthetic learner who does not want to wait weeks to learn practical skills. Medical Assisting is a respected, reputable career on its own, but it’s also a great entry-point for individuals looking to advance within the healthcare spectrum. If you’re interested in becoming a nurse, physician’s assistant (PA), physical therapist, or physician, often times it can be difficult to know whether or not you’ll enjoy working in healthcare. Most individuals do not want to commit to a long and demanding career path that includes competing a master’s and, for some healthcare professionals, a doctoral degree without first having some exposure to the field. Medical Assisting provides an opportunity for people who are considering healthcare careers that require more education to “test drive” what it’s actually like to work with patients in a medical setting. Additionally, a career as a Medical Assistant can be a great way to gain the patient hours necessary to apply for these more demanding medical programs. Founded in 2002, Unitek College is an accredited, private institution that combines unique academic and technical specialties to provide a superior education in the areas of healthcare and nursing. With seven campuses in California, Unitek offers varied educational programs in the cities of Fremont, San Jose, Hayward, Concord, South San Francisco, Sacramento, and Bakersfield. At Unitek College, they provide healthcare career training and clinical placement. They also provide their graduates with employment assistance for the future. If you are interested in Medical Assisting and are unsure of where to pursue your training, it’s time to consider Unitek College. Students at Unitek receive a holistic skillset that prepares them for competitive Medical Assisting roles after graduation. For more information, please visit Unitek’s contact page and reach out to one of their school representatives!